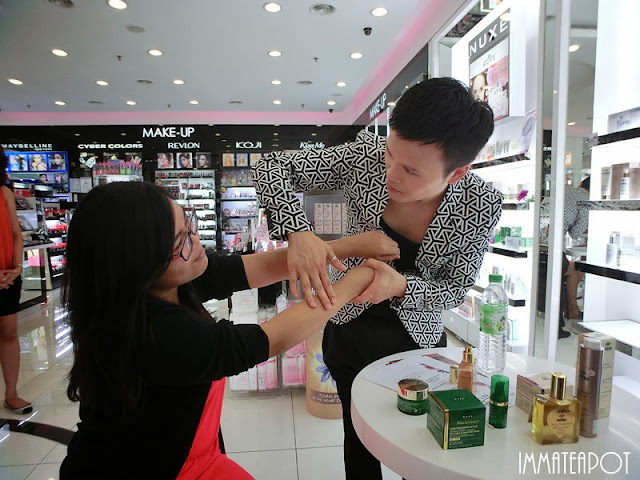 Firstly, a huge thanks to SaSa Malaysia for inviting me to join this awesome NUXE Blogger Event and so I have a chance to get to know NUXE more! 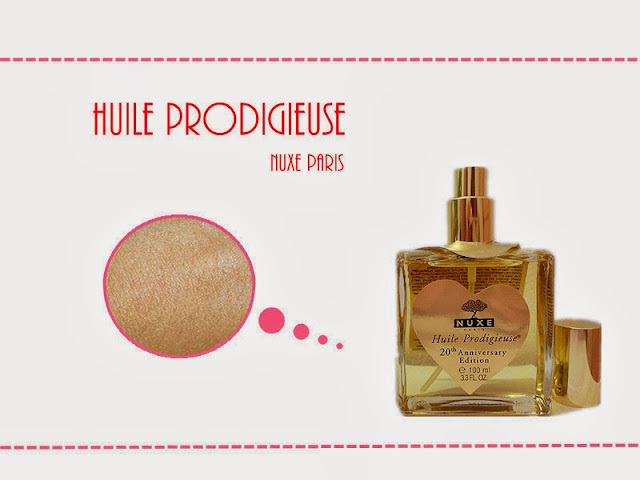 NUXE, founded in 1957 has today become one of the best-selling natural cosmetology brands in French pharmacies and para-pharmacies. 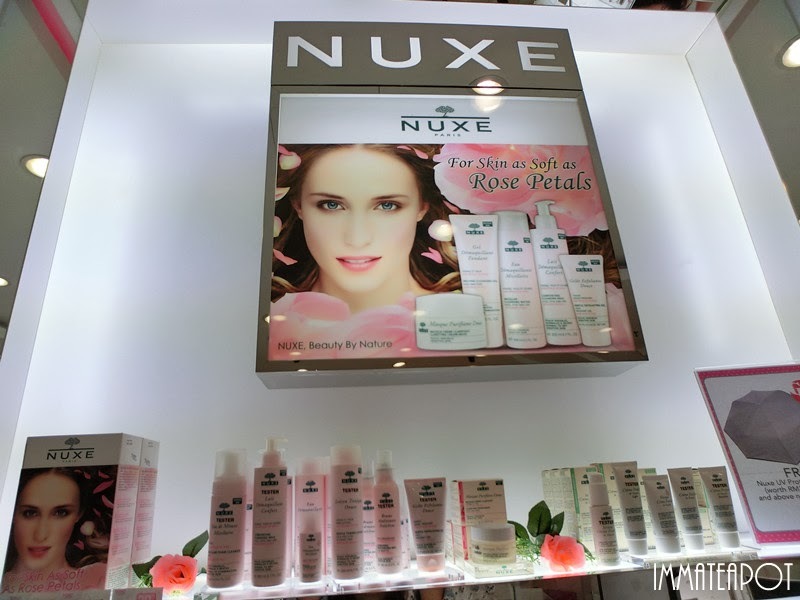 Most of the NUXE products are focusing on Anti-Aging Range. Most of us, who age range falls from 20 to 25 may think that, it's still too early to go for anti-aging products as we are still young. This was what I set in my mind as well previously until I did some skin-analysis on few events and they told me that my skin is suffering from pre-aging sign wtf. In short, my skin is getting OLD already in just the age of 20! 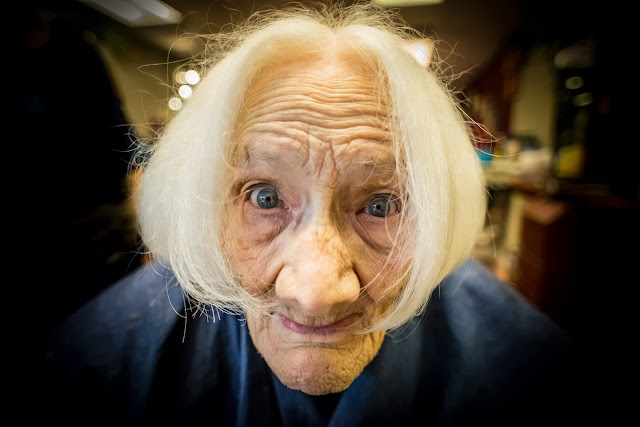 If we do not get rid of these pre-aging signs, and soon we will look old, maybe by the age of 25, we will look like this LOL. 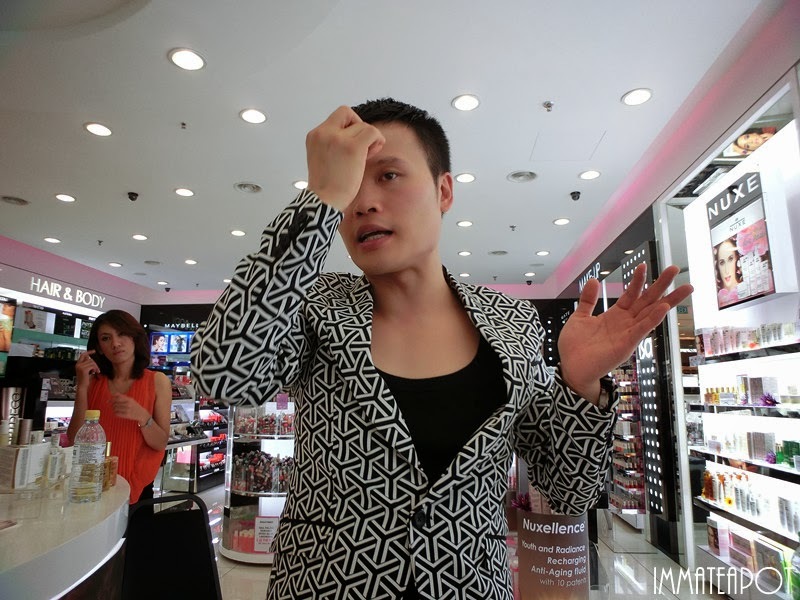 Besides, SaSa has invited Mr.Ryan Lau all the way from HongKong as guess speaker on NUXE Blogger event. Teaching us some tips to choose the right product, the importance of skincare regime and exposing us to NUXE anti-aging range! 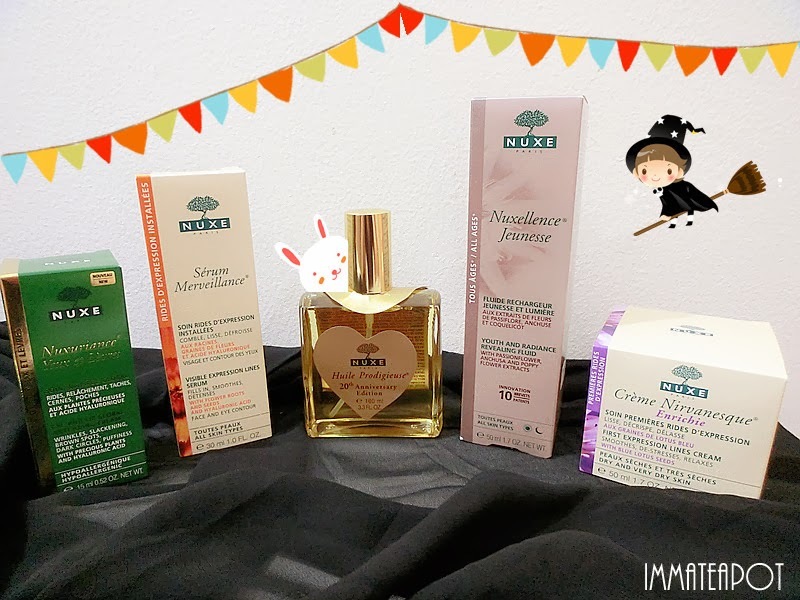 Now, I will be introducing some of the NUXE Products (Sponsored by SaSa) right in my blog. Nuxellence Jeunesse, a re-charge fluid for mitochondria in cells, is the new essential daily skincare step for women of all ages and all skin types. Just like how the charger work on batteries of cellphone, it can repair our skin with youthful appearance and visibly nourish our skin with natural radiance. It contains ultra-high concentrations of natural-origin extracts which are Passionflower, Anchusa Poppy, Hyaluronic Acid, Calendula Petals and Galanga, help smoothing wrinkles and fine lines instantly. Besides, it can illuminate our skin with its corrective pigments enrichment. The texture is smooth and light in peachy pink with fresh floral scent, leave our skin with no stickiness. It's 87% of natural origins with no paraben. NUXE Serum Merveillance ( face and eye contour), contains Althea Root, Acmella and Oat extract which can instantly smooth and detense our skin. Besides, it can fill in the appearance of visible expression lines with its hyaluronic ingredients, leaving our skin more glowy and relax. It is a very light fluid in slightly bright yellowish color and light floral scent, it can absorb well and fast by our skin. *Merveillance range is retailing at RM168 to RM198. 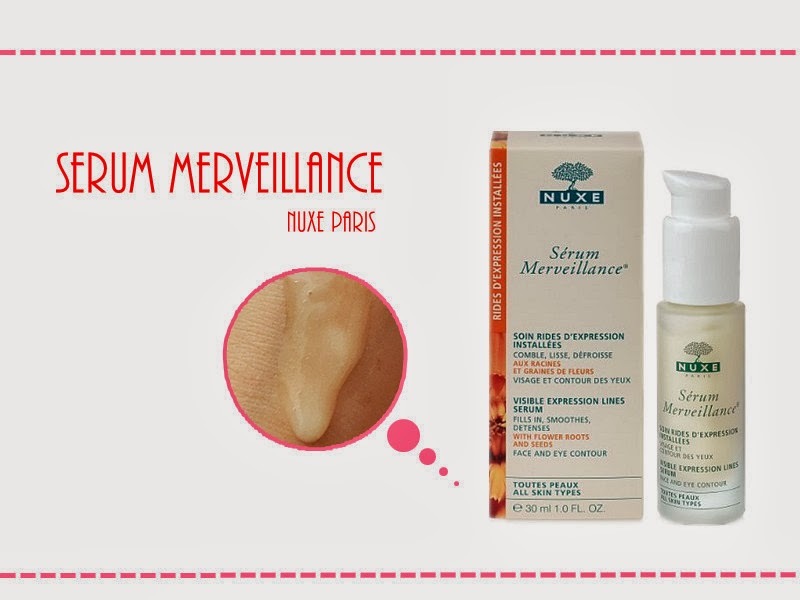 Nuxuriance Yeux et Levres offers comprehensive anti-aging action on eye and lip contours, by moisture and firm the skin, diminishing wrinkles, anti-dark circles, under-eye puffiness and brightens the look of dark spots. The texture is light in yellowish color and sweet floral scent. I love this scent the most! *Nuxuriance range is retailing at RM188 to RM240. 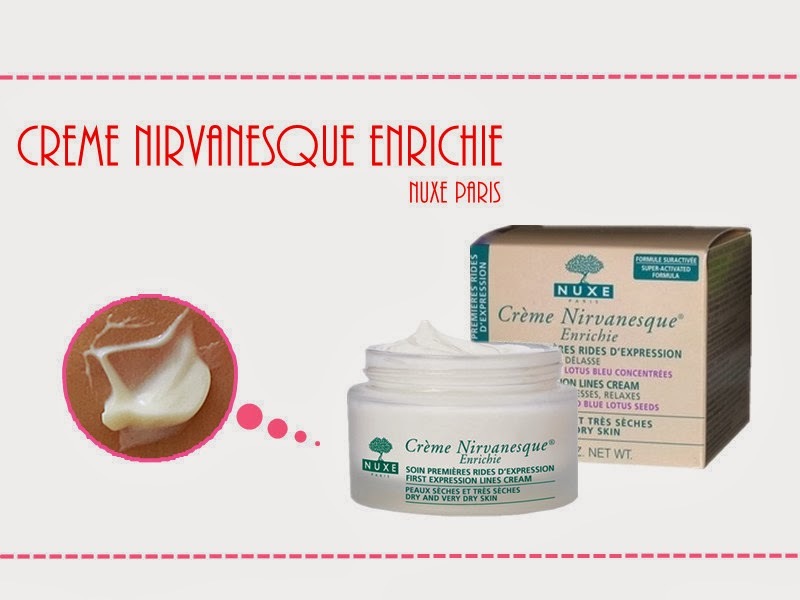 Creme Nirvanesque Enrichie which contain Blue Lotus, Poppy Seeds, Althea Root, Acmella an Calmosensine can significantly reduce the appearance of wrinkles and fine lines, instantly smoothen our skin. Enriched with Macadamia and Musk Rose Oils, it helps comforting dry and sensitive skin. The texture is slightly thicker than the others with floral scent. *Nirvanesque range is retailing at RM140 to RM160. This is my favorite product! I bet most of you have heard of Huile Prodigieuse - Multi Usage Dry Oil as most of the people used it as hair oil. It can nourish, repair and soften our skins or hair with 6 precious oils (borage, St. John’s wort, sweet almond, camellia, hazelnut and macadamia oils) and vitamin E. Besides, it can smooth out any dryness and provide sufficient moisture. It is in liquid form, with a scent between earthy and flowery, very light, fresh, soft yet warm. End up this post with a picture of me and Mr.Ryan. 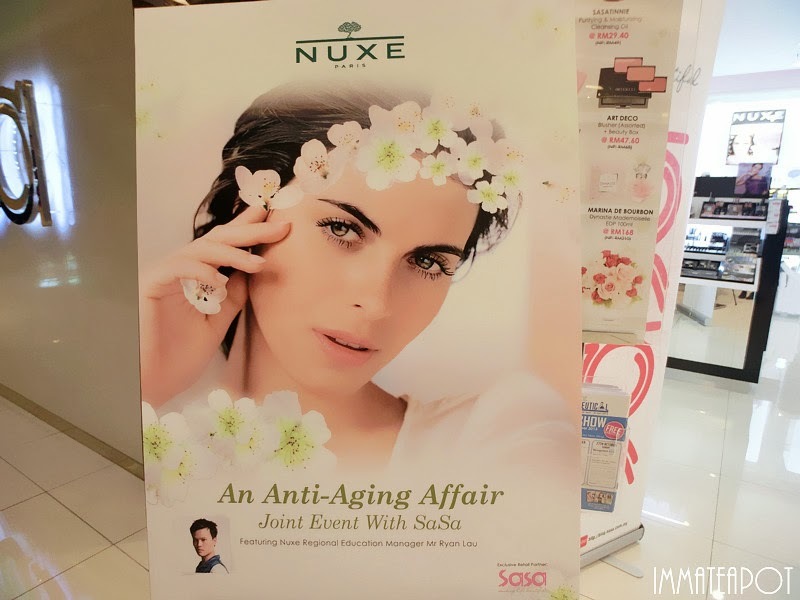 For more information on NUXE, feel free to drop by SaSa stores or visit SaSa Malaysia. Ma de , u old siami? your mom, me also havent say old LOL. 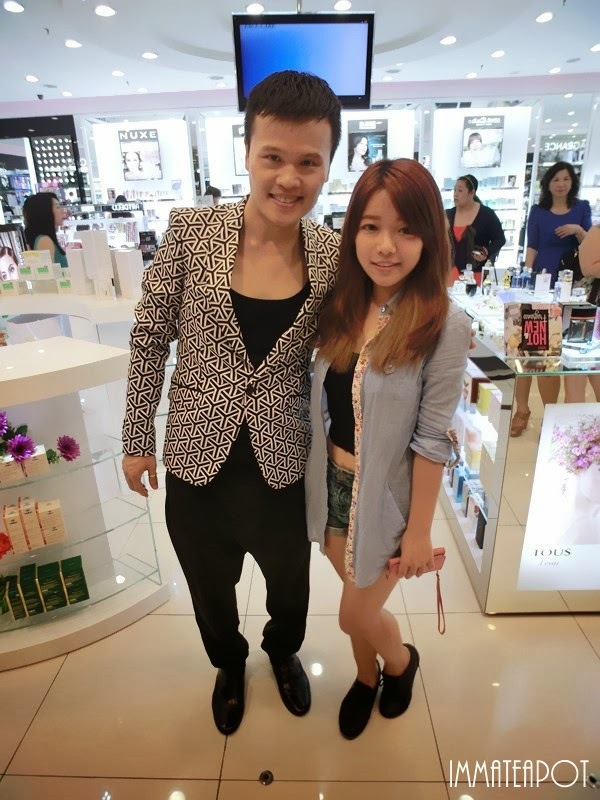 Anyway I love ur blazer, mana beli? I should try one, I guess.